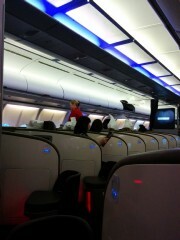 Got an early flight back to London this morning. I had taken my tweed suit with me and it occurred to me I had no photographic evidence of wearing it while I was in New York. 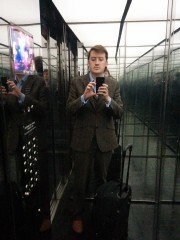 So took this as I was leaving my hotel. 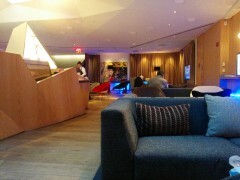 Managed to wangle an upgrade, so flew back in Upper Class too - here's a picture of the Virgin Atlantic lounge in Newark.